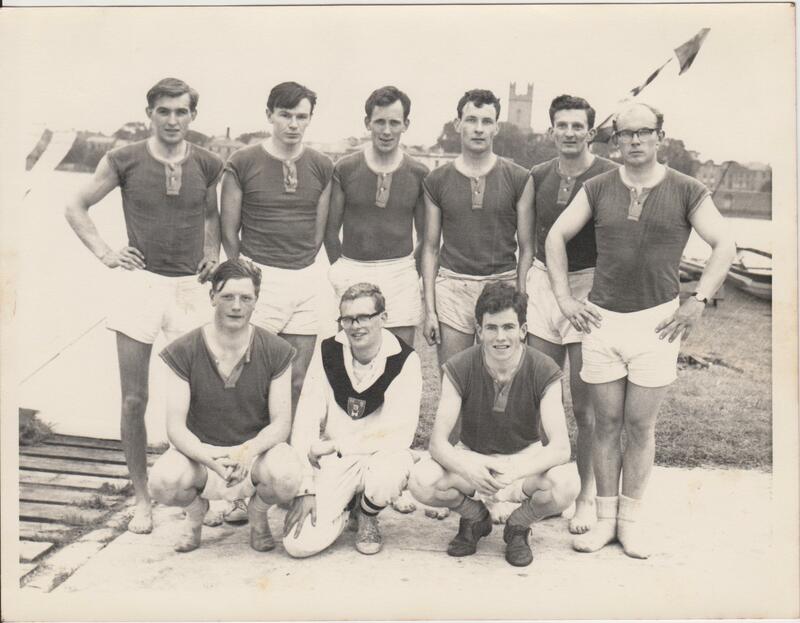 The crew that won the Senior Pot on the Shannon at Limerick in ’63 – taken on the dock at Shannon Rowing Club immediately after the race. Back row (l.to r.) Barry Doyle, Frank Tisdall, Tom Sullivan, Des McCann, J.J.O’Sullivan, Simon Newman. Kneeling (l. to r.) Bob Wallace, Paul Keatinge, Pat Sullivan.